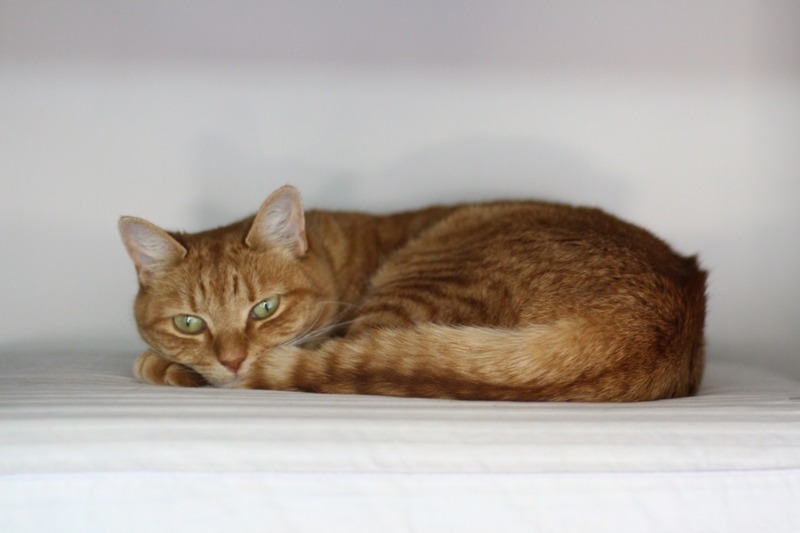 My one and only soul cat, the ever so full of personality (some may say fractious but I prefer feisty) adventurer and scaler of all things precarious, Jibbles, took a risk too far and has sustained some serious injuries requiring emergency surgery. We need your help. Just before the storm passed through on the 24th of March my lil slinky sneaker decided she'd wiggle her way out of a cracked window, what happened from there, we do not know. The working theory based on the layout of the house and her injuries, is that she took a leap off the balcony, got her foot caught in the trellis, twisted and fell. At some point before the rain really started pouring down I heard her calling out and found her outside laying in the dirt trying to drag her body as close to home as she could get. At this point I realised her back limbs were not working (cue the most heart wrenching moment of my life). 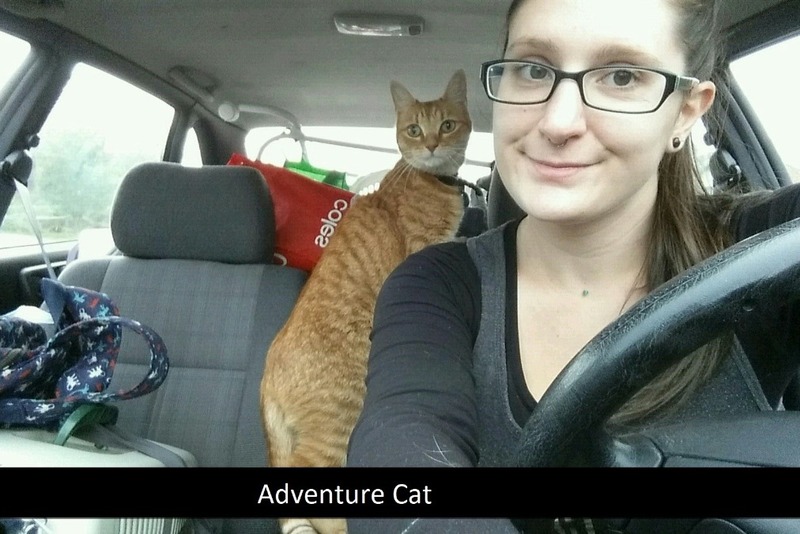 I didn't even think to put shoes on before I had her bundled up in the car on the way to the Animal Emergency Centre (which side story, ended up being a slight problem when I had to go into the back of the vet to say goodbye to jubbin and they had a bunch of dogs vomiting everywhere #ebonyluck). In a whirl they had her in and seen to, I heard the words but they didn't register, I wouldn't be taking her home. It was bad, but they couldn't say how bad. They would let me know at 4:45am. Naturally I did not sleep. I poured myself into my job and built some resources, which will either be fantastic or nonsense. I guess we'll find out when I use them on Tuesday! The 4:45am call told me my Joob had ruptured up to 3 ligaments in her knee (so it now moves a very painful 360 degrees like no knee ever should) and there were multiple fractures in her pelvis. She needed a lot of pain relief, and more advanced sedation techniques than normal because I raised a fighter and unfortunately she doesn't know who's trying to help and who's trying to harm. There was nothing else AEC in Frankston could do at this stage as they are not equipped to do the surgeries Jubjub required. I needed to pick her up and transfer her to Hallam. I arrived at Hallam, sleepy baby in toe at 9:00am and consulted with the surgeon who undertook further physical examination and explained the diagnostic imaging procedures which were going to be needed to perform surgery and then went through what the surgery and rehab would entail. 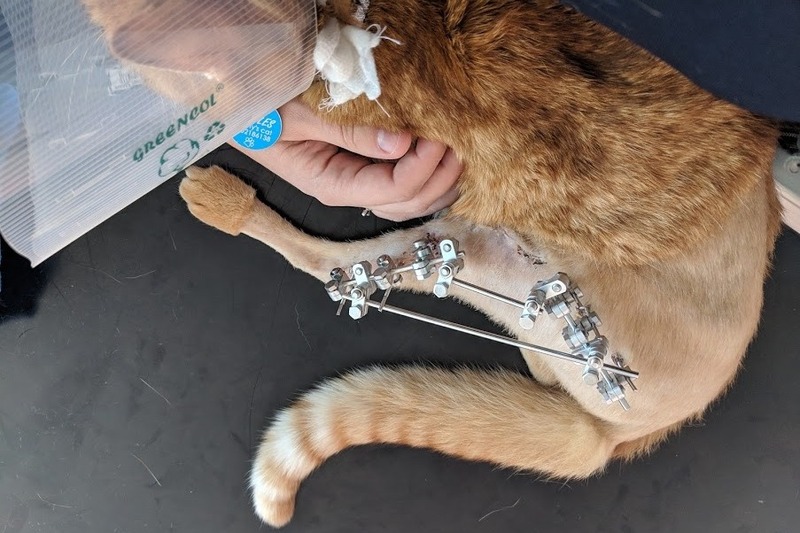 My fierce little foxcat would need bone pins and an exoskeleton which she is absolutely definitely going to hate, and she will suffer with arthritis ongoing for the rest of her life. The repair of the ligaments will cost an additional $4200 at minimum. 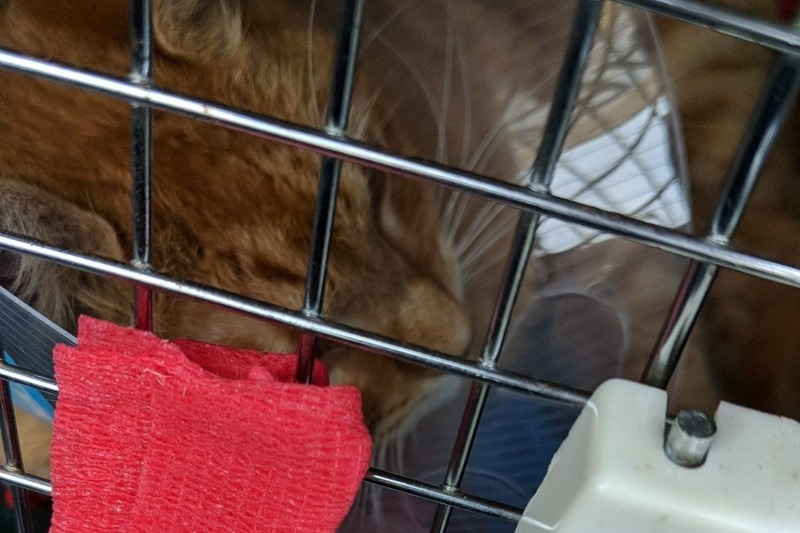 After the surgeries she will need daily pain medication, and weekly vet appointments for a number of weeks, possibly months (and she will probably need some sedation before these appointments, lest everyone lose their eyes). 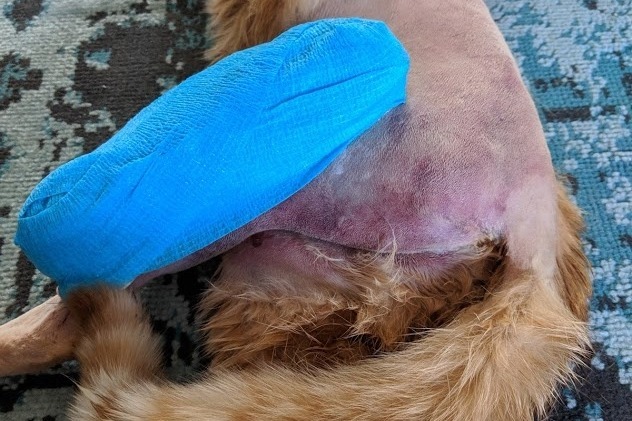 I have set this campaign at $6000 in the hopes of covering the cost of the initial overnight stay, the surgery and the fees that are charged by GoFundMe. All vet bills are due immediately, in fact, I've had to pay large chunks of them in advance so any gift/donation in the quickest amount of time will make a huge difference, but I will be paying this off for the forseeable future so I will not reject a late donation. Why am I asking you for money? Thank you for reading any part of this and contributing whatever you have mustered. If you cannot contribute financially please consider sharing. I appreciate that my little Jibblypuff isn't the friendliest of cats but she means the world to me and I hope that means something to you. Between the last update and now she has had a couple of trips to emergency due to 1) her bandage coming off and 2) vomiting and diarrhea multiple days in a row. She's no longer vomiting, but her poos still aren't great. She's still eating and drinking well, her temperature is fine and the vets can't feel anything untoward in her tummy so they're not overly concerned at this stage. Just keep monitoring. Her wounds are healing well and she's adapted to walking with the apparatus. She's still not quite sure how to deal with the cone and not being able to clean herself is making her more than a little bit miserable but in terms of healing, she's doing well. If all keeps tracking along her next appointment wont be for 5-6 weeks where she will have follow up scans to make sure her ligaments/bones are healed and then she will undergo another surgery to take everything out. Believe it or not she has become much more affectionate and patient with people over the last few weeks, despite all the pain, poking, and prodding, she enjoys a lap sit and a cuddle more than anything. Trying to put the cone back on her after some cone-free time is the most dangerous time of day. Many hiss, many scratch. Thank you for your continued support <3 Y'all are the best people ever. Jibbles has her first vet review today. She was uncharacteristically well behaved at the vet and the wounds around her bone pins are healing very well. Unfortunately, she hasn't been using her leg as much as she should have been so it's a bit weaker than it ideally should be right now. The vet and I both agree that is likely due to the fact her pain hasn't been under great control. 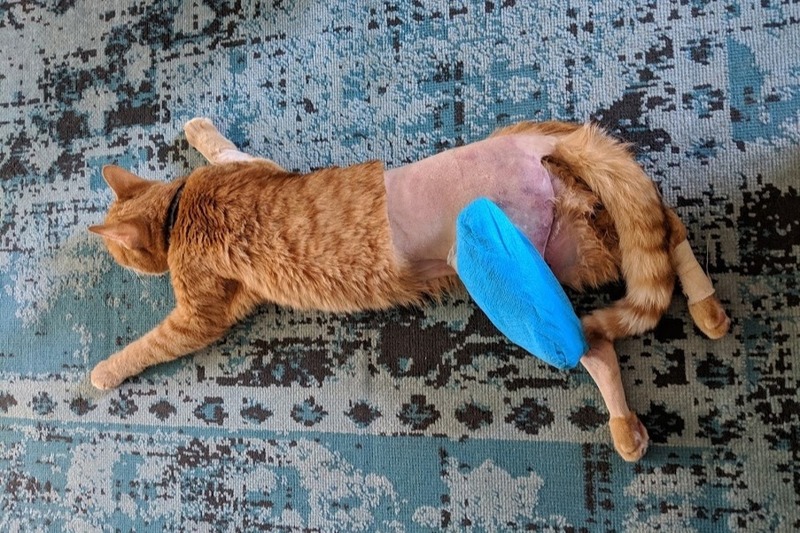 Given the fact she is a tiny little cat it has been hard to manage her pain without risking overdose, but she is on a secondary pain killer now and is walking around like a champ (see video!). She still has to spend most of her day on cage rest but has been granted a few more minutes of (relative) freedom per day. Thanks to all your contributions we've raised ~37% of the costs needed to cover the vet bills! I am blown away every single day by your continued generosity. To say thank you is not enough, but I don't have the words to articulate my gratitude. All I can do is pledge to pay forward the kindness you have shown me and my lil honeybear. Jibbles is out of surgery! She is at home and recovering okay. She is in a lot of pain and it is not well controlled. Her bruises are very bad but swelling is minimal. She cannot walk on her back legs yet but she is trying! She's even already trying to climb the furniture. It is making her very irritable that she can't. She is very keen to get moving again. The vet said having inspected her injuries up close it's more likely that she was hit by a car than had a fall. It was almost certainly someone who knew where we lived as it's also likely she was placed out the front of our property. Preeetttttyy awful thing to do to hurt someones animal that bad and just dump it out the front. We were home. they could have come to the door. Anyway, signs are looking good, despite the pain she is trying to engage in normal behaviours. She was able to toilet herself almost independently, she hated that I had to help her in and out of the box but she found a way she could stand on her own and was ridiculously happy about that (actually purring). She's refusing food an fluids at the moment, getting very annoyed at me when I offer them but I think she will get over this soon. I've told her all about you and she continues to purr so I've gotta say she must be very grateful. As am I. You support means the world to us, I don't have the words to express how overwhelmed with gratitude I am. 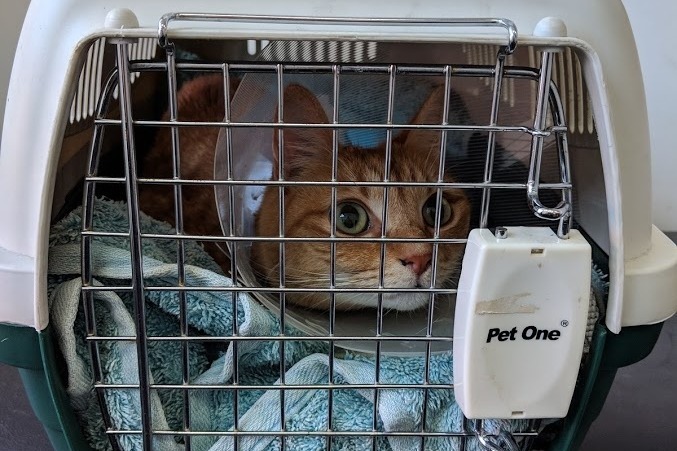 ~4:00pm 25/03/2019: The vet called to tell me the surgery has been a success. The are having difficulty managing her pain but will keep her as sedated as they can. She needs to be observed overnight but the will call me in the morning so I can come get her and take her home. I will update you again then!